Marc Schneider, M.D., medical director for Advanced Aesthetic Solutions, is a longtime Fort Myers-area surgeon with more than 25 years of cosmetic surgery experience. Widely recognized for his expertise in natural facial rejuvenation, breast and body surgery, and laser surgery, Dr. Schneider trained at the University of Kansas in Plastic Surgery and is a diplomat of the American Board of Plastic Surgery. He is dual-trained in both general surgery and plastic surgery, and is renowned for his endoscopic breast surgery technique, which was presented to the American Society of Plastic Surgeons. A resident of Fort Myers since 1991, he has published and presented numerous articles in medical literature and has achieved several patents. 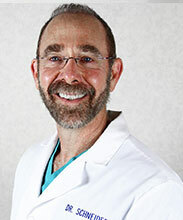 Dr. Schneider is also available for consultation on cosmetic and plastic surgery procedures. Erin Mallari is an experienced physician assistant with 20+ years in the medical field. Spending most her career in trauma surgery and critical care, she followed her heart into a bright and fun new career path. Erin specializes in advanced medical aesthetics. She has more than 5 years injection experience trained in Neurotoxin, fillers, PRP, Kybella and much more. Erin wants to help you bring out your inner beauty! Erin loves the water, kayaking and twin girls born in 2017! Lisa Kitner brings her experience in top-of-the-line service and luxury to Advanced Aesthetic Solutions as our spa manager. She has dedicated her career to connecting people to their inner beauty, power and poise. Lisa served for a decade as regional training manager for Estee Lauder; owned a successful image consulting business that addressed the whole woman inside and out; and served as director of training for several national brands. All her skills come together here, where she creates the ultimate self-care experience for our clients at every turn. Let Lisa know how she can help you become your very best. 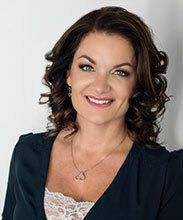 Catherine Fulton, is a Licensed Medical Esthetician and Certified Aesthetic Consultant Catherine with more than ten years of experience in the professional skin care industry. Her extensive background has been working closely with plastics surgeons and cosmetic dermatologists in the Sarasota Florida area. She is highly experienced in the correction and maintenance of sun damaged, hyper-pigmented, aging and problem skin Her passion is helping her clients look and feel their most beautiful with treatments, homecare regiments and practical skin care advice. Catherine loves spending time with her family and friends and stays active by boating, “glamping” and exploring new destinations. Ariane Mariano is a trusted and accomplished clinical esthetician with 30 years of experience in the skin care and beauty industry. She is a graduate of the prestigious Christine Valmy International School in her hometown of New York City, and has pursued extensive education and training at the International Dermal Institute in New York. Ariane is experienced in treating diverse skin types and conditions using the most advanced skin care systems, latest technologies and cutting-edge ingredients in the skin care industry. 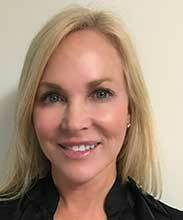 Her areas of expertise include microdermabrasion, hair removal, brow-shaping artistry, advanced chemical peels, anti-aging treatments, and advanced exfoliation techniques including dermaplaning. She most recently earned certification as a microblading artist from the world renowned Phibrows Academy and as an Elleebana Lash Lift artist. 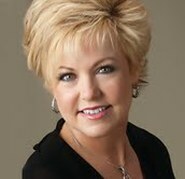 If you’ve ever thought about your eyelashes, then Linda Smith is someone you should get to know. Linda is an experienced Xtreme Eyelash certified specialist, and she loves making your eyes look beautiful! Linda’s extensive training and knowledge makes her your eyelash expert in Southwest Florida, and you won’t believe what she can do for you. 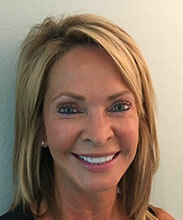 Prior to immersing herself in the world of eye beauty, Linda worked in the dental health field, specializing in oral surgery and periodontics as a dental assistant. 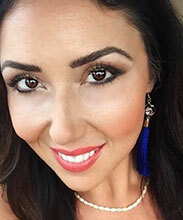 Her passion is making people feel good about themselves, and just like the satisfaction of seeing her dental patients smile, she loves the satisfaction of giving her clients a brand new look with their stunning Xtreme lashes. 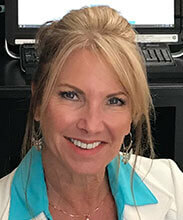 In her spare time Linda is an avid runner and fitness enthusiast. 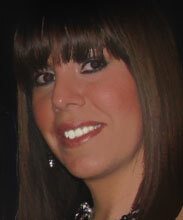 She loves working out, water sports, travel and cooking healthy meals with her wonderful family. Mercedeh offers a variety of manual and machine techniques and styles to suit all permanent makeup needs, including: Hair-stroke, Powder, & Microblading Eyebrows, Eyeliner or Eyelash Enhancement, Full Lip color, Eyebrow Corrections, and the safest all natural solution for cosmetic tattoo Removals.